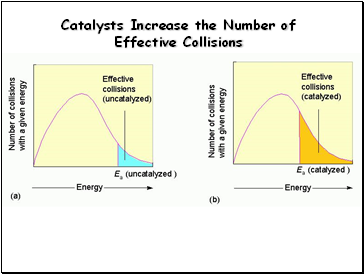 Enzyme: A large molecule (usually a protein) that catalyzes biological reactions. 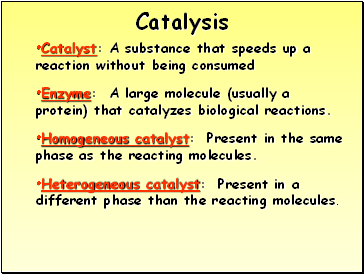 Homogeneous catalyst: Present in the same phase as the reacting molecules. 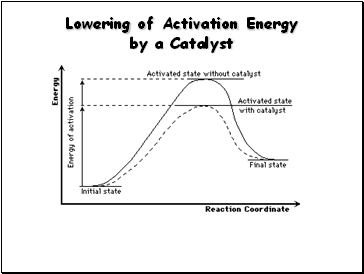 Heterogeneous catalyst: Present in a different phase than the reacting molecules. 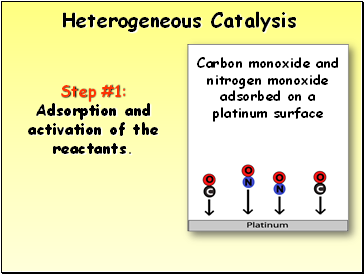 Step #1: Adsorption and activation of the reactants. 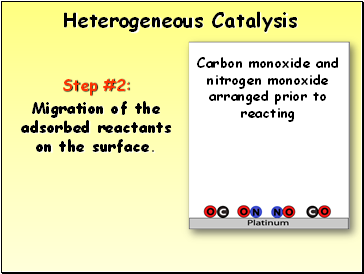 Migration of the adsorbed reactants on the surface. 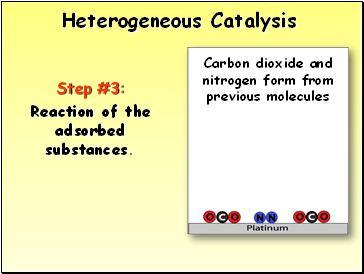 Reaction of the adsorbed substances. 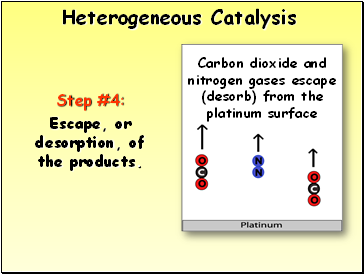 Escape, or desorption, of the products.